There it is. The moment you slip your foot into a shoe and feel like the shoe understands exactly what you need. Autumn afternoons in downtown Montreal always make me think about our main shopping street called Ste-Catherine. What was the perfect representation of Life in our beautiful city starts to play this game with our expectations and we find ourselves at the mercy of an ever fluctuating test from nature. Blazing to chilled in the matter of 24 hours, what is a style seeker supposed to do? The terrasse (basically an outdoor dining/drinking/lounging area for restaurants and cafés) squatting faithful are relegated to the most popular sidewalks on the island because of the cooler temperatures, and bounding in and out of the line of storefronts becomes a ritual both comforting and therapeutic for some. 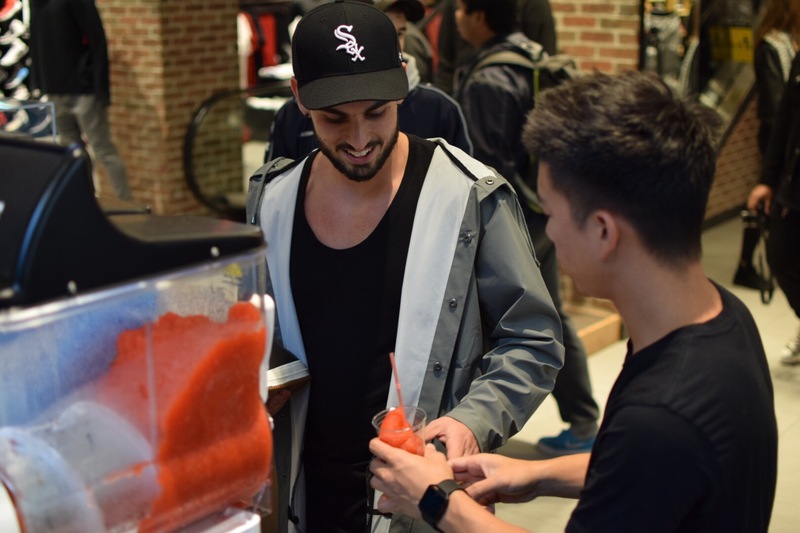 Kicking it up a few notches, the latter half of this special day, at Foot Locker (900 Ste-Catherine O), the Brag crew and The Sneaker Podcast fam found ourselves on the pseudo other-side-of-the-counter! 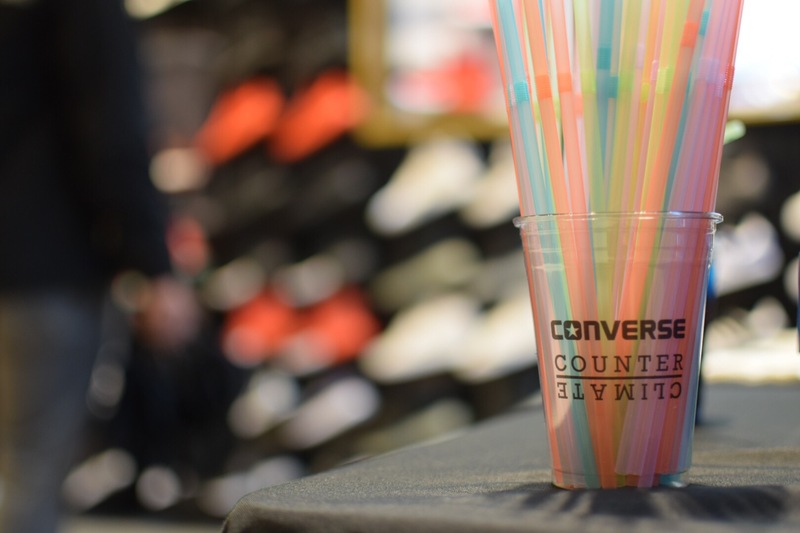 Invited by Converse to hand out free slushies (Yes, you read that right! Slushies!) 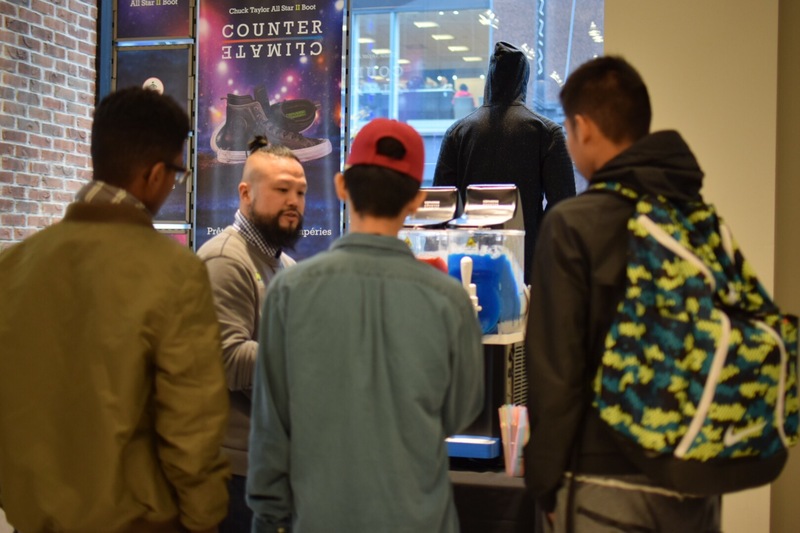 to customers as they come into the store, we get the chance to represent a brand that has been finding sublime answers to every sneaker wearers problems. The main attraction of the afternoon is the new Converse Chuck Taylor All Star II Boot that we helped introduce a few weeks back. It is fully waterproof, and lined with an inner neoprene bootie. 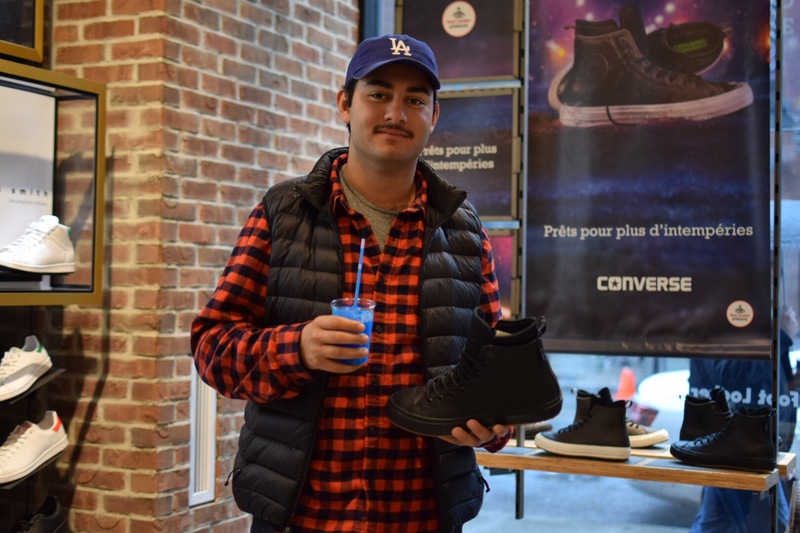 While keeping its recognizable Chuck Taylor silhouette, it remains true to its heritage and true to every sneaker lovers ask for a wintery solution! We arrived at Foot Locker and meet the Converse representatives to get instructions on how the set up is going down. 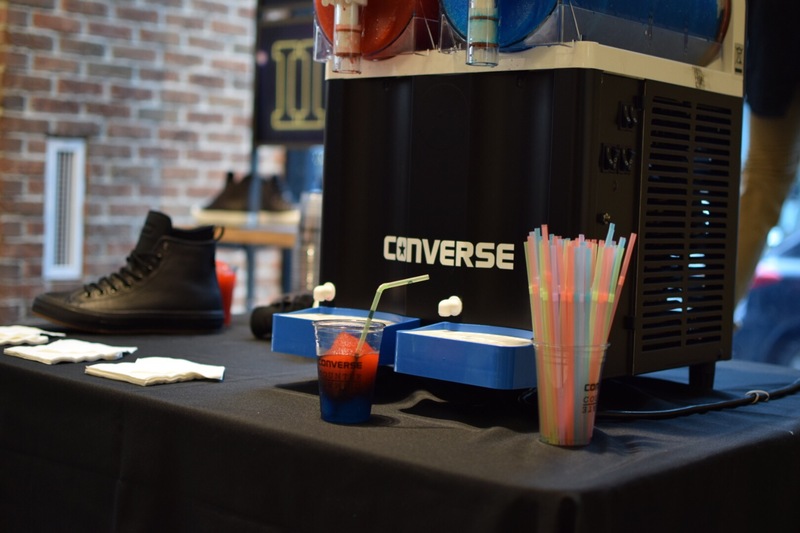 Red and Blue slushy machines and Converse cups were sitting atop a black draped table right next to the sneaker Boot display. Our mandate for the few hours was to converse (no pun intended… well, maybe a little!) 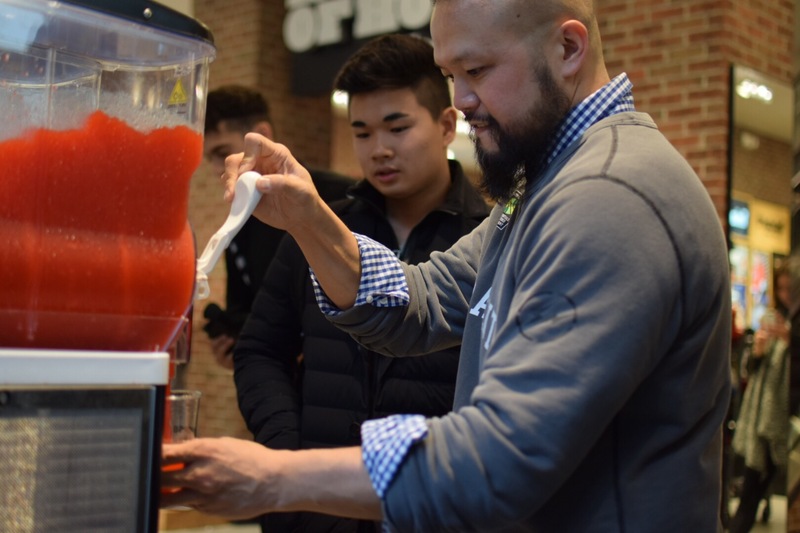 with the customers and give information about the Boot, and of course, to serve sweet, vibrant slushies to the masses. 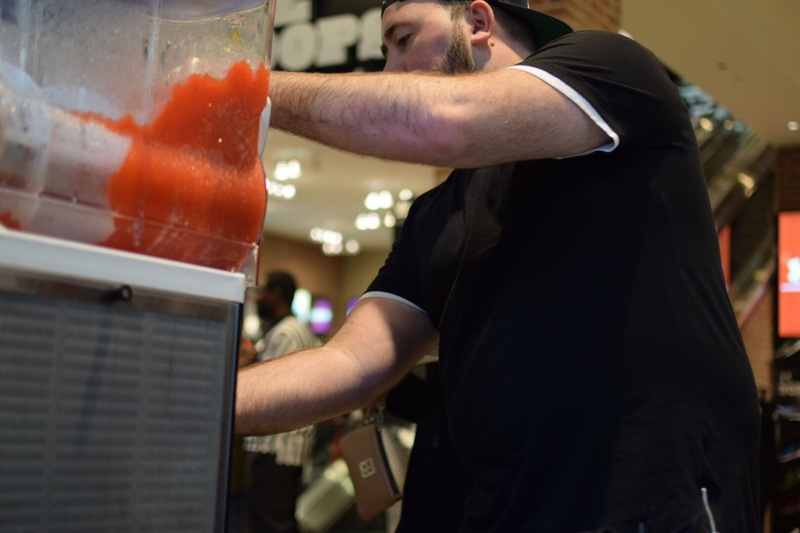 You want a slushie? 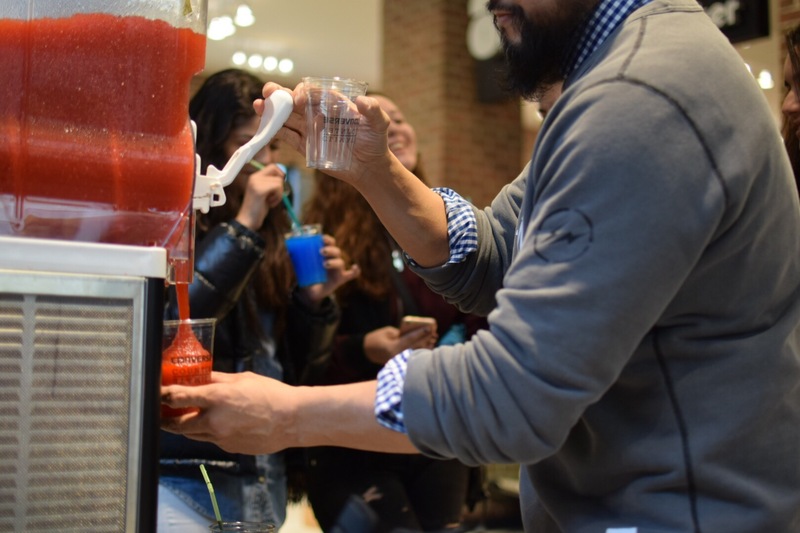 You got a slushie! Something as simple as that turned into something quite memorable. 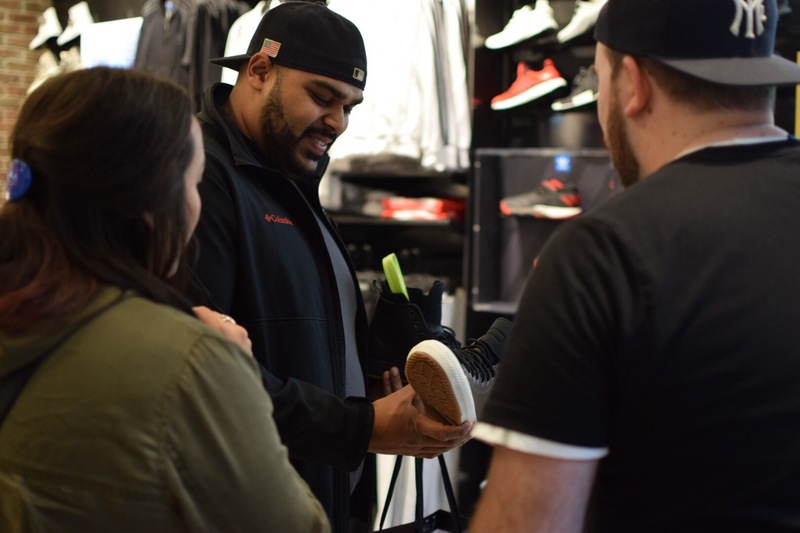 Opportunity for the Brag and TSP members to meet loyal listeners/readers and a chance to maybe educate and invigorate those who are casual fans of sneakers. It takes a great brand with exciting enthusiasm to take a chance on a few dudes wanting to share their passion. The Converse Chuck Taylor All Star II Boot is available at your local Foot Locker. Be sure to stop in and try a pair out! I’ve been happily pouring water and slush on my boot to test its claims and I’m giddily excited at how protected, comfortable and dry I will be this coming season! All thanks for Foot Locker Canada and Converse! ← Jack The Ripper; Making a Murder.